I managed to continue with the goal of making one podcast post and one video post. If, in a year, this site has 52 podcast episodes and 52 videos capturing things I learned from a year, then it’ll be beyond worth the time and effort being put in. We’re going strong! Also, Wally recorded an episode with a friend of the pod: Jason. We’ll edit that and add it as a minisode. We might start experimenting with some short episodes. Because we only have like 5 listeners to alienate. And two of them are me and Wally so it’s only like 3. We went over Ryan Holiday’s The Obstacle is the Way which introduced me to stoic principles a couple years back. They helped me get through a somewhat rough (well, first-world rough) time and those principles continue to be valuable tools. I just looked at a post from a couple weeks ago that goes over the same episode: Make it Easy. I’m not sure if I thought I kept that in Evernote or what, but now I have two posts about the same topic. Oh well. I read through Mike Rohde’s Sketchnote Handbook and have been taking inspiration from that. I’ve also been skimming the AsapSCIENCE book. I picked it up at Amazon Books, which just opened in New York a couple weeks ago. 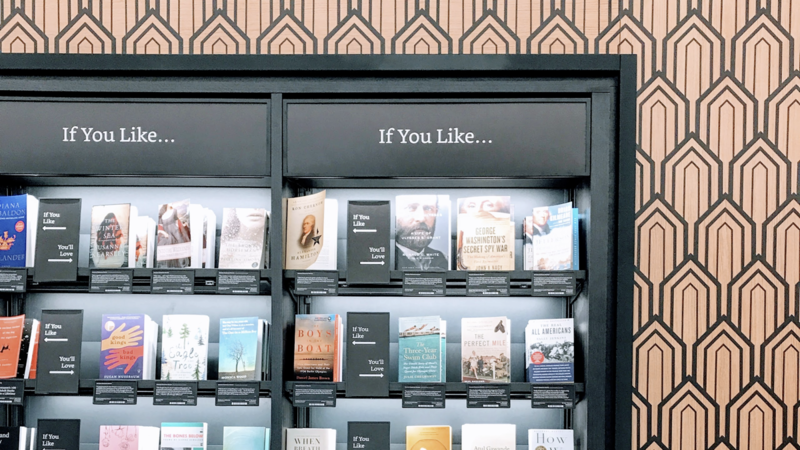 If you like bookstores from the past you’ll like the bookstore from this future. This entire thing was way better than I expected. I was expecting some kind of extended Bud Light commercial. 1.) Draymond Green says he’s the type to remember every play from every game but Game 7 last year was a blur. 3.) They talk about best athletes of all time and whether or not a football player can be it. They’re one person on an enormous roster. But that’s not the issue LeBron has with it. He points out that a quarterback doesn’t play both sides of the ball. Tom Brady doesn’t play for half of every game. 4.) They discuss the music industry and independent artists like Chance the Rapper. They mention No Limit, Cash Money, and a lot of other people who were successful without signing with major labels. They don’t get the credit. They point out that Chance might get the credit, but for first more people need to succeed with his model. 2 Chainz explains why people still sign traditional deals, no matter how awful it is in the long run. It wasn’t a dream to create something sustainable long term. The dream was one million dollars, all at once. It was to get a record deal. I’ll try sticking to the plan for another week. Podcast: Creative Confidence — Wally and I will be going over Creative Confidence, a book about design thinking. Here are some things I made this week and some thoughts about making them. I hit my goal to have one podcast post and one video post. Still the most fun I’ve had making something for this blog. Wally and I keep on with the book-a-week format and discuss The Slight Edge, by Jeff Olson. I want to share podcast episodes I like with other people. Of course, it’d be great if the people from that podcast checked out the video and amazing if they shared it with their audience. If I keep making one each week for six months, I’d estimate one of the podcasters would share it with their audience. Totally fine. I want to get better at distilling information and making videos that can keep people’s attention. Podcasts are a good source of new content to pull that information from. The pitch: It’s like Tools of Titans, but way worse, in video form! I’m working on the accompanying post, but here’s a video I made the other night: Pull-ups for your brain (YouTube link). It’s about an episode of Pat Flynn’s podcast with Cal Newport as a guest. I’ve figured out logistics for the podcast, but not the sketchnotes. Wally and I have a decent process. We’ll at least be able to record audio and share it with others. Whether it’s good or not is the harder part. As for the sketch videos, I’m figuring things out. Each video looks like it will take 2-3 hours to make, including the initial listen. Right now I make a slide deck instead of a script and use the deck to remember talking points. It’s part of the reason the videos end up longer than I want. It opens up opportunities to ramble and I make the most of those opportunities. The videos themselves are just too long right now. I’m aiming for 3-5 minutes and they’re more like 6-8 minutes. It might just mean trying to pull one single topic to talk about instead of 3 or 4. I’m trying to remember the same focusing question I’ve used for the podcast: what would this look like if this were easy? I’ll try starting with a script. It’s stepping toward not-easy but the trade offs might be worth it. My goal is to be consistent and good enough.